Hi Rachel, We had a great week and thank you SO MUCH for sending us Tim and Clare. They were both outstanding. Amazing with the kids. Totally ready for the sessions and we learned so much. Animation was a huge hit and every single class had to be dragged out. Clare’s [Physical Theatre] classes were powerful and challenging. Just what we wanted. Thanks again! We had such fun and the parents were very impressed. Even our ASD Year 5 boy who will only play rugby got fully involved with a smile on his face! 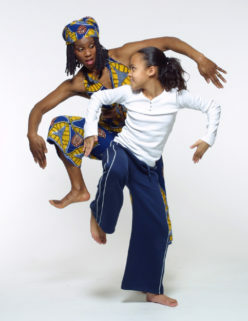 “I had to e-mail to say that the dance workshop we have just had delivered at our school was outstanding. Dee was simply amazing. The children have been hooked from the moment she stood at the front of the assembly this morning. Her delivery, warmth and talent are second to none and we would love to book her again for another workshop if at all possible?! She also delivered this at one of our other schools last week and they too were blown away. “We were VERY impressed by this energetic sensitive artist who tailored the workshop to our needs.”. African Drumming – St Margaret’s Tadworth. Superb feedback from every teacher accompanying a “workshopping “class/assembly”. “Fantastic two days. Clearly very experienced in working within constraints of school timings and costings. Highly recommend (Artist) to any other school”. “All the workshops were fantastic. The children enjoyed them very much”. Aborigine Art – St Mary Bourne School. “Activities built up well into finished dance. Children choreographed and performed our dance. Nice end – limbo. Good quiet control. Teachers also danced and enjoyed it. Great fun”. “(Artist) was fantastic! He had a great manner with the children and taught them the Samba in a structured and well thought out way”.